Health care policy has been a hotly debated political topic for many years now. In recent years, new laws passed the halls of Congress while others failed to gain any traction. Despite the rules that have rolled out, health insurance companies have been in the driver’s seat for decades. While spokespersons for the health insurance industry will tell you that they do not make medical decisions. As a doctor, I can tell you that they make medical decisions on my patients every day. They decide what diagnostic tests are allowed and what medications a patient can be prescribed, without speaking to or examining the patient. However, despite the fact that they practice medicine without a license, they are not required to carry any malpractice insurance. Legally, they are protected from all liability by the contracts they hold with health care practitioners and patients. They give patients a false sense of security that they are covered for their health care. In truth, more and more plans come with really high deductibles. Often, they will not pay anything in a given calendar year unless a major life-threatening illness or catastrophic medical event occurs. Also, they are free to deny any medical services based on guidelines that they develop which often come with little transparency. They use prior authorizations to deny needed services/medications. There is nothing scarier for patients than not knowing what is wrong with them. When a doctor and patient decide on a treatment plan and the insurance company denies that service, it delays an accurate diagnosis. Doctors rely on certain diagnostic tools to make definitive diagnoses. What can we do when these tools are taken away from us? What can patients do when their doctor is not allowed to use the tools needed to tell them what is wrong? Their decisions are based entirely on their own guidelines and not evidence-based medicine. Insurance companies require alternate tests. Sometimes, an insurance company will require an alternate study be performed first rather than the one that is actually needed. For example, if I want to order an MRI of the L-S spine to detect a herniated disc, certain insurance companies insist I do an X-ray first. Medical science has shown us that X-rays are not a good study for seeing disc herniations. So, in essence, I’m forced to order a test that will not help that carries additional radiation and delays diagnosis. But, if I don’t do it, the insurance companies deny the authorization of the MRI. Whenever an insurance company denies a test, the diagnosis is delayed. Although sometimes this does not pose a risk, there are times it can put patients’ lives in danger. I’ve seen patients waiting months to over a year fighting to get coverage for a test while at the same time worried about what is wrong with them. Also, without knowing the real problem, treatment cannot be started. Patients suffer needlessly waiting to win the game of prior authorizations that their carriers insist they play. Insurance companies decide what medications patients can take. They call it their formulary which is basically a list of medications they cover. While generics work just as well most times, sometimes they do not cover a single medication in a given class of medication. Also, they tend to change their formulary every year and force people to change their medications if suddenly they find themselves on one that fell out of favor. Some of these patients have been doing well on a given medication for years. I’ve seen patients suffer complications or flare-ups of their chronic diseases when they are forced to switch. Insurance companies push for early discharge when patients are admitted to the hospital. We all know the ghastly costs of being admitted to the hospital. Insurance companies want patients out as quickly as possible. They determine a number of days they will cover, often just based on an ICD-10 code, and then it is up to the medical team to get the patient discharged before that time is up. Insurance companies also deny procedures. If you have a medical problem that requires surgery or other procedure, insurance companies have to give authorization first. 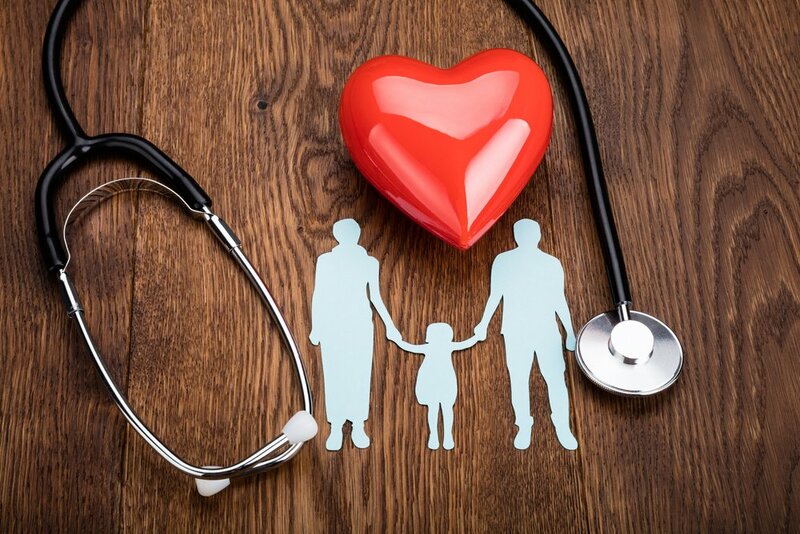 Insurance companies will tell you that the ultimate decision for a medical decision lies between the physician and patient and that they are only making coverage determinations. Doctors are free to order whatever they want and patients are free to pay out-of-pocket if they insurance denies it. Yet, in this day when a single medication can cost $ 1000 a month, is there really any difference for most patients? When a few day hospitalization can exceed $ 100,000, who can pay that without help? When patients pay their own insurance premiums, how can they be denied coverage for what they are paying for? Clearly, when we talk about health care “reform,” health insurance companies deserve greater scrutiny.